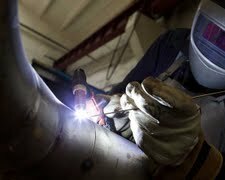 Hobbs & Porter, bespoke stainless steel specialists providing steel services to companies and individual customers throughout the UK. 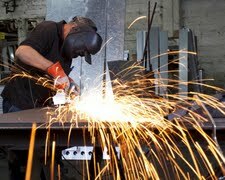 Responsible for customer liaison, manufacture, workshop management, catering equipment supply for Hobbs & Porter. Director at Complete Catering Contracts Ltd 2011 to present. Experience:- Carpenter since 1983, City & Guilds, site carpentry since 1984, domestic and site carpentry since 1987, HND Building Studies 1991, kitchen fitting since 1994, owner of John Porter Worktops since 2004. Responsible for marketing, advertising, sales lead generation and the Hobbs & Porter Website. 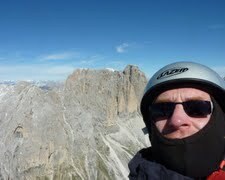 John relaxing at 11000 feet near the Sasso Lungo in the Dolomites. 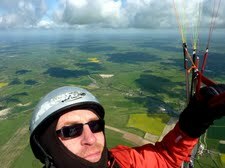 John at cloudbase, 3500 feet above A27 near Devils Dyke, Brighton.